Still a few days ago the scene was very winterly. I took this picture on Boxing Day, six days ago. Now the snow has almost gone with warm weather and rain, but the charm of the place stays. 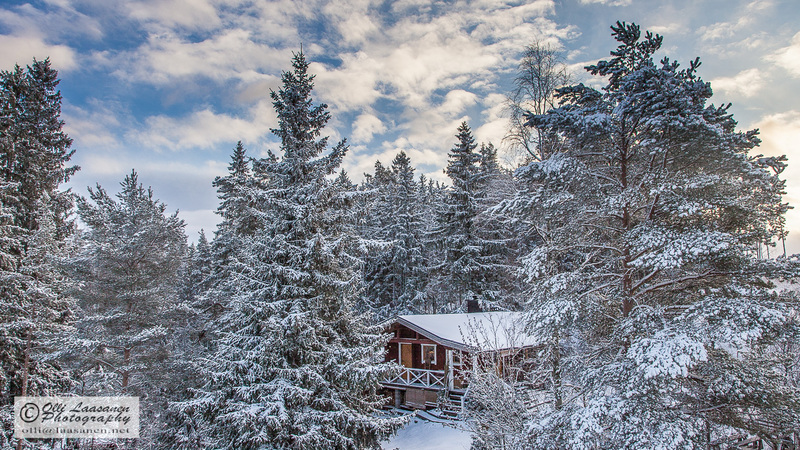 This entry was posted in Finland, Nature, Photo, photography, Valokuvaus and tagged cottage, landscape, snow, tree, winter. Bookmark the permalink. Absolutely stunning. The eye behind the lens is very talented. I’m glad you liked it! And thanks for your kind words! !